It has been some time since I posted anything on my blog and it's time to fire it up again. For the past six months or so I've been side tracked with a Deutsch Integrationskurs and now I am studying for the B1-Prüfung (exam) upcoming on May 9th. The Deutsch Integrationskurs is a 600 hour course for learning the German language, integrating into the German culture learning about recent German history and the Politics. The course has been pretty interesting considering we only speak German and there are people from Russia, Bulgaria, Turkey, Greece, Romania, Columbia, Venezuela, Brazil, Mongolia, Slovakia and Moldavia in the class. It's sort of like a movie we've probably all seen where the American guy is teaching English as a second language to a group of people who all speak a different language. We have had a few pot luck parties and the food is varied and pretty darn good. At the end of the course I take an nine hour exam that covers reading, writing, hearing and speaking German. I took the A1-Prüfung about a year ago and passed with no problem. This one is going to be a little different I think. So, if I pass the B1 exam what does that do for me? My Visa will be good for two or three years before I will need to reapply. 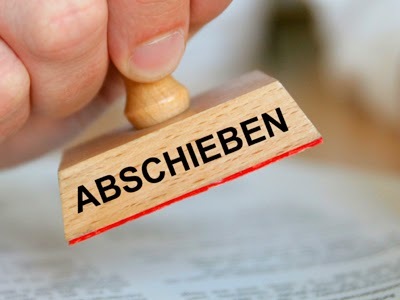 If I don't pass then I will need to reapply every year until I do pass the exam - or - until I have lived in Germany for six years when the Visa automatically becomes permanent. Interestingly enough, if you hold an EU Passport all of this is not necessary. Fortunately, I won't get kicked out of the country. I have to say the whole exercise is a bit frustrating, as I have no problems getting along on a day to day basis living in Germany, even with my limited Deutsch sprechen. I certainly have no problem ordering Nüernberger Bratwürste und Bier. On the other hand, I of course understand the idea of being "invited" by the immigrations folks at the Ausländeramt to participate in the course and exam. Germany has been the go to country for folks immigrating (or Ayslbewerber, i.e. 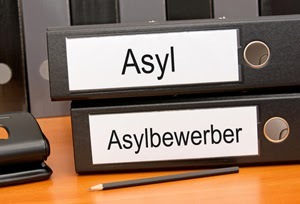 asylum seekers) from countries outside of the EU for some time now. Germany would prefer that people who are living here are able to contribute to the overall society. For those who need to earn a living that means speaking the language. Not such a bad idea.